Did Angela Ahrendts get fired? Additionally, most of the news stories about Ahrendts’ departure point out that it’s happening during the first-ever iPhone sales slump, conflating the two. The subtext is that she’s underperforming and has to go. However, it’s not so clear-cut. Several compelling clues suggest that Ahrendts jumped ship and rather than being pushed. The biggest tell when Apple cans an executive is that they get put on “gardening leave.” Apple often ties up fired executives with a role such as “special adviser to the CEO,” which is code for a pair of golden handcuffs preventing them from joining the competition. Both Tony Fadell, the former head of Apple’s iPod division, and Scott Forstall, who was responsible for developing the first version of iOS, were named special advisers to the CEO for a year or so, preventing them helping rivals develop knockoff iPods or iPhones. This is the biggest clue that Apple fired a departing executive. However, it doesn’t always happen. John Browett, Apple’s former head of retail and Ahrendts’ predecessor, was fired in 2012 but wasn’t given gardening leave. It’s arguable that this could be the case for Ahrendts, too. Unlike Fadell and Forstall, Ahrendts doesn’t seem to have specialist engineering skills that could boost competitors’ efforts. Ahrendts’ skills are arguably more people-focused. It seems her talent was big-picture: a vision for the stores and events to attract a constant stream of shoppers. This may be dismissive, though. She likely possesses detailed knowledge of Apple store logistics and operations. Not to mention a Rolodex full of world-class architects, designers and construction specialists that could help rivals build stores and strike real estate deals around the world. Although new reports conflated slumping iPhone sales with Ahrendts’ departure, there’s no sign that she wasn’t performing. At a time when Main Street shops and shopping malls are dying at record rates, Ahrendts seems to have been very successful at keeping Apple’s stores relevant. The chain of 506 stores are as packed as ever and there’s a full roster of events and presentations at stores worldwide. During her tenure, average sales per square foot grew by 21% to $5,637, according to research firm eMarketer. Ahrendts’ ample compensation reflects Apple stores’ ongoing success. 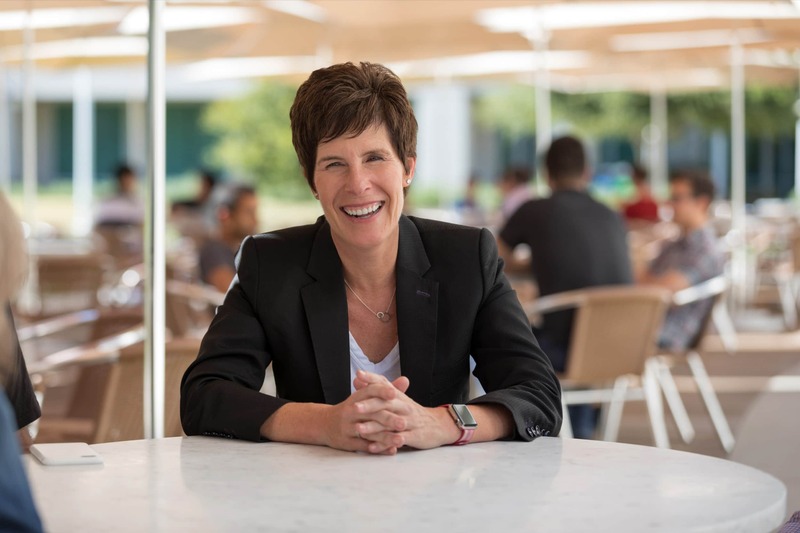 In the five years she worked at Apple, she earned $170 million in salary, bonuses and stock, according to an estimate by Bloomberg. Apple veteran Deirdre O’Brien will take over for Angela Ahrendts. 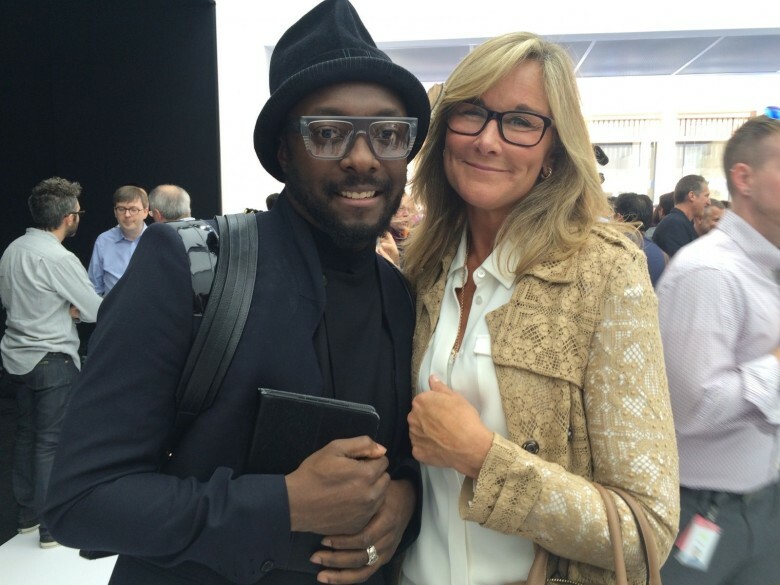 As noted by John Gruber, Vogue Business reporter Suzy Menke, who profiled Ahrendts just last week in a positive piece, quoted Ahrendts on Instagram saying the departing Apple leader misses her grown-up kids, who live in London. Ahrendts was based in the U.K. capital while CEO of Burberry and clearly misses the city. To some, Ahrendts’ unexpected departure might seem rushed and fishy. However, to me it looks like she just felt it was time to leave Apple.